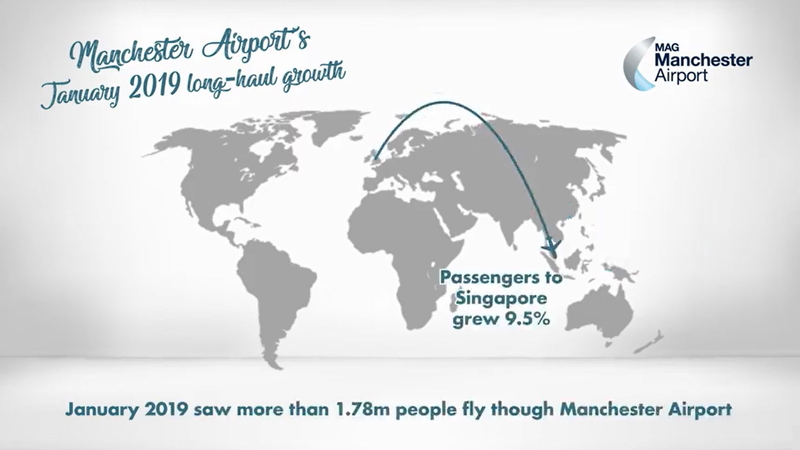 More than 1.78 million people passed through Manchester Airport’s three terminals in January 2019, an increase of 7% on January 2018. Sunnier climes saw the biggest growth with the number of people jetting off to Jamaica up 19.5%, Qatar up 29.8%, and Oman up 21%. The number of passengers heading to Beijing with Hainan Airlines ahead of the Lunar New Year was up 11.7%, and Cathay Pacific’s flights to Hong Kong enjoyed a 6.5% growth when compared to January 2017. There was also a 9.5% increase in the number of people travelling to Singapore. More than 28.38 million passengers have now used the UK’s third largest airport in the last 12 months. The airport’s £1bn transformation will also see Terminal Two grow by 150% and offer the latest innovations in travel and technology. The first phase opens as early as April 2019, while the new terminal extension will open the following summer in 2020. See latest HD Video Interviews, Podcasts and other news regarding: Manchester, Traffic.